Kicks of the Day: adidas Energy Boost ESM "Solar Blue"
If you ever doubted the &apos;Kanye effect,&apos; look no further than the tonal white Energy Boost ESMs that &apos;Ye can&apos;t stop wearing lately. Before &apos;Ye hit the stage last weekend, adidas&apos; website had a full size run of the runners in stock. Now, only scattered sizes remain. 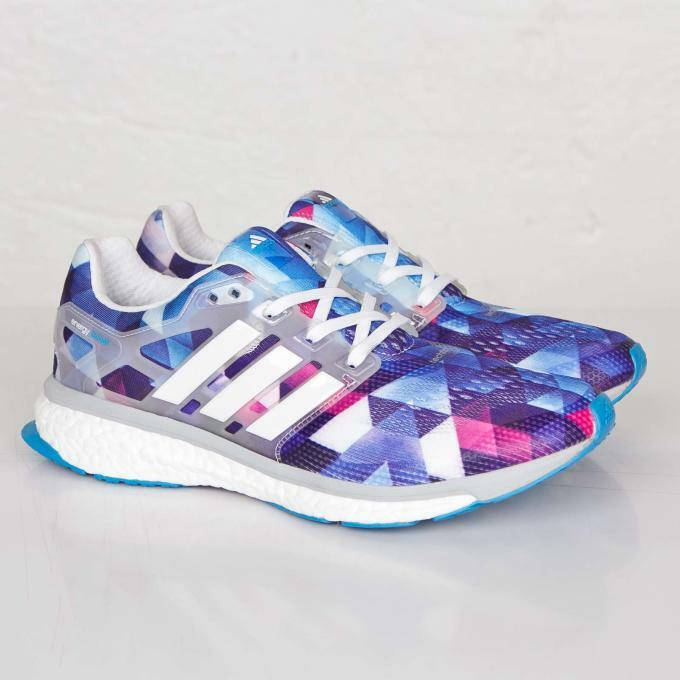 You&apos;re not completely out of luck, though, because there&apos;s still several fresh colorways of the Energy Boost ESM available. Take for instance this multicolor version, which is perfect for summer with its varying shades of white, blue, and purple. The Engineered Stretch Mesh upper is adorned with a unique geometric pattern while white details add some balance to the vibrant look. Cop these now from Sneakersnstuff for $150 so you&apos;ll be ahead of the trend if Yeezy ends up getting tired of the triple-whites.